With over 15 years in Corporate America, Mr. Dickinson has been involved in areas of sales and management. Mr. Dickinson has also partnered with key decision makers during negotiation processes and facilitated several sales and management groups through various company alignments. 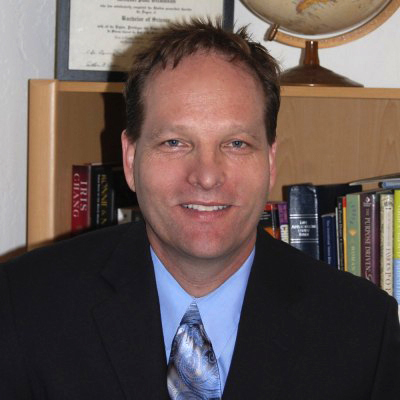 Mr. Dickinson’s education background consists of a Bachelor of Science degree in Criminal Justice from Arizona State University, and he attended the Straus Institute for Dispute Resolution ‘Mediating the Litigated case’ at Pepperdine Law School. Mr. Dickinson’s strengths lie in the ability to establish client trust while maintaining a compassionate and genuine interest with the parties involved. The ability to uncover underlining motives and true desires allows him to facilitate the process in a direct-to-the-point approach. This is done by having both parties provide relevant information and by having their displeasures be heard. Mr. Dickinson’s strategies as a mediator have proven successful in civil cases, including debt collection, property damage and landlord/tenant. With years in the corporate arena coupled with mediating in the courts, Mr. Dickinson is able to provide a unique blend of real-life situations involving negotiations in and out of the courtroom. As a neutral, Mr. Dickinson facilitates in a manner in which the parties will think outside their comfort zone.